Tennessee whiskey is "straight bourbon whiskey" produced in Tennessee - almost. The current producers of Tennessee whiskey do not refer to their products as "Bourbon". All current producers are required by Tennessee law to produce their whiskey in Tennessee. They must also use a filtering step known as the Lincoln County Process, where the whiskey is filtered through (or steeped in) charcoal chips before going into the casks for aging. The two major producers of Tennessee whiskey are Jack Daniel's and George Dickel, with Jack being by far the largest. 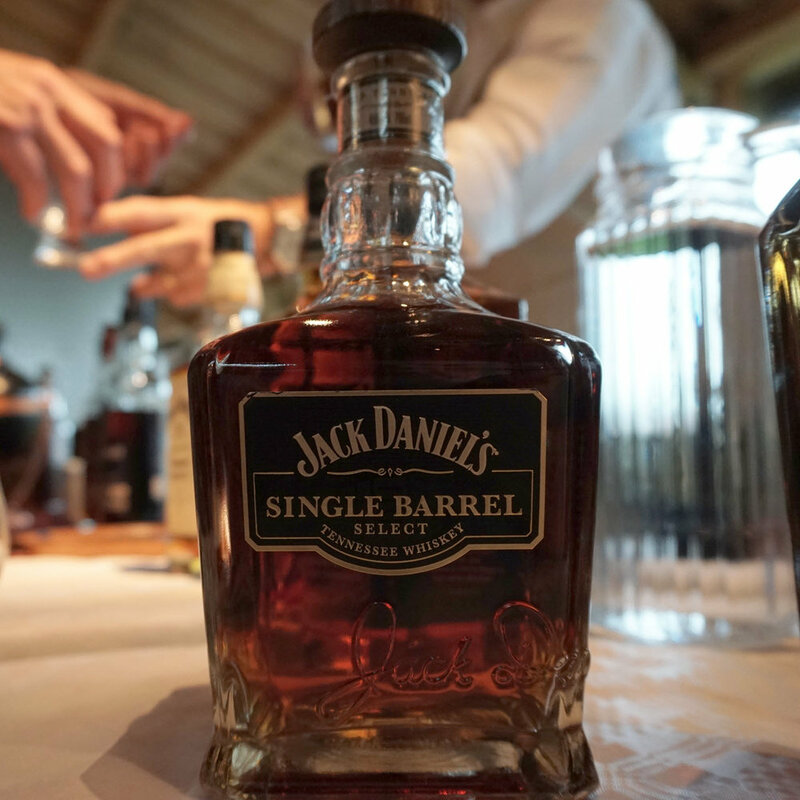 You can purchase the Jack Daniel's Single Barrel in Norway at NOK 620 (item number 5036401), and in Sweden at SEK 501 (item number 70221). Nose (22/25): Hickory wood, maple syrup, vanilla, barbeque sauce, coal and a faint barbeque smoke. It has a deep sweetness to it, and it is very smooth! Reminds me of an evening barbeque, on a warm summer day. Taste (20/25): Peppery, with dry oak, caramel and fudge. Not very remarkable on the immediate delivery. Finish (22/25): A bit sweeter now and more creamy. Maple syrup, with a hint of mint and menthol. It is fresh and cool. It has medium length and some warmth to it. Balance (21/25): A lovely cowboy, barbecue dram.